In wartime, these words admit defeat and put the speaker in the custody of an adversary. They do not usually gain admiration. We admire the single word reply, “Nuts!,” given by World War II General Anthony McAuliffe responding to a German surrender demand during the Battle of the Bulge. Sometimes, however, surrender is the right thing to do. And when it is necessary, it can be done properly and honorably — or it can be done shamefully and dishonorably. 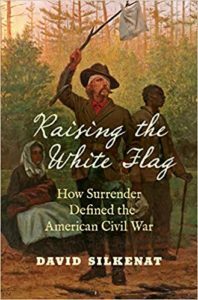 The differences are explained and illustrated in “Raising the White Flag: How Surrender Defined the American Civil War” by David Silkenat, a Duke grad with a PhD from UNC-Chapel Hill and now a senior lecturer of American History at the University of Edinburgh. Silkenat gives his readers a new way to study the Civil War. Through the lens of surrender, the war begins at Fort Sumter and ends at Appomattox and the series of surrenders that followed, including Bennett Place in Durham. Surrenders during the war were common. One of every four soldiers surrendered, either individually or as part of large capitulations. At Sumter, the union commander, Major Robert Anderson, was deemed a hero after his surrender of the fort because he had held on until Confederate bombardments made it clear that further resistance would be futile. On the other hand, at about the same time, when Major Isaac Lynde surrendered his command in New Mexico to a much smaller group of Confederates, he was branded a coward. When the rebel commander at Fort Donelson on the Cumberland River in Tennessee near the Kentucky line capitulated to General U.S. (“Unconditional Surrender”) Grant in February 1862, many Confederates thought the surrender was disgraceful. “In this surrender, we have lost the chivalry and flower of our whole army,” one soldier said. At Gettysburg surrenders of individuals and units on both sides were numerous. At the end of the battle, General Robert E. Lee’s forces were burdened with thousands of Union captives. On the day following the battle, Lee’s attempt to negotiate a prisoner swap with victorious Union General Meade was fruitless. Meade knew that the prisoners would slow Lee’s retreat and enhance the Union forces’ efforts to harass the Confederates on their retreat to Virginia. Before Gettysburg, generous parole and exchange policies on both sides could make surrender an attractive option for the ordinary soldier in a dangerous battlefield situation. Upon surrender, he was often treated reasonably well and promptly given freedom through an exchange or parole. After Gettysburg, these surrender and parole options were virtually eliminated so that captured soldiers could look forward only to deadly confinement at places like Andersonville. 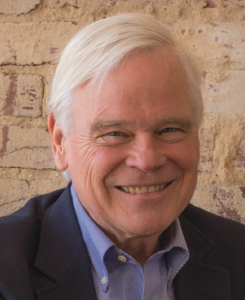 Even those who disagree with him on this point will welcome his treatment of surrender in his fresh, interesting, comprehensive, and challenging reassessment of Civil War history.